From a concert at Fylkingen 2012. Norelius – Bergmark – Runolf. Photo © Sören Runolf (also the other photographs on this page). is an improvising live electronics trio which originates in the creative environment at Fylkingen, the organization for radical and experimental art in Stockholm. All three are among the most active and creative live electronics improvisers in this universe (well at least the southern half of Stockholm), and all have a wide and open musical background and experience. Together they are concentrating on the use of amplified objects, recorded sounds and virtual modular synthesizers with digital patches of their own design, among other things that fill up a table each. The sounds merge into an exciting mix where it's difficult to say who makes what, drawing from the long history and techniques of electronic music and sound art. One time they performed in a boat club, inspired by sea life. At the time, the band shared a small sailing boat together in Stockholm, called Agda. JOHANNES BERGMARK is an experimental musical instrument / sound sculpture maker, improvising musician, writer and electroacoustic composer. He has developed his work over sound poetry, butoh and performance art into a surrealist musical object theatre with an evolutionary meta-instrument or amplified stage called the Platform. JB has been a touring free lance musician since he graduated as a piano builder in 1996. He also lectures, makes workshops, usually focusing on untraditional acoustics, including traditional crafts and sound technology, hoping to unfold a world where knowledge, skill, inspiration and surprise can meet and develop together and to inspire people to create their own poor man’s utopias out of available resources. 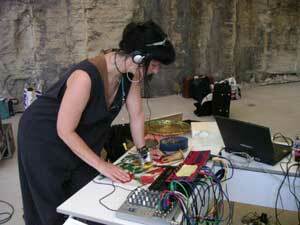 LISE-LOTTE NORELIUS is a percussionist, live electronics musician and electro-acoustic music composer. EAM composition for Teater Galeasen's production "Theres" about Baader-Meinhof, -2000. "Lemur-Modulation" for 5 percussionists and live electronics, Jukka Korpi (dance), Fredrik Olofsson (video), -2002. 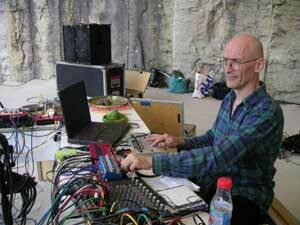 Solo performances with different sound sources and live electronics. "Nightman" for solo saxophone (Jörgen Pettersson) and live computer. "Nightmen" for saxophone quartet and live computer. ”4x4x4” Poetry/Contemporary music project with 4 poets, 4 composers and Stockholm's Saxophone Quartet. 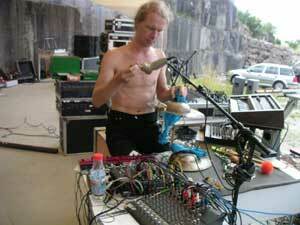 SÖREN RUNOLF has been a member of the Swedish improvisation music group Lokomotiv Konkret since the 70s. He is generally known for his innovative use of conventional instruments, such as the cello and the electric guitar. He has made music for intermedia projects and dance, and has also been involved in innumerable Swedish and international improvised music constellations and "experimental rock" groups. Maksymenko&Kropparna, Mental Hospitality, David Thomas&The Pedestrians, ONO, Or Never Band, Skipper Worse, Jade Gold Silver (with Jie Zelf, Gustav Nygren) 2008-. Music to several Butoh-performances, solo and occasionally together with Bergmark and Norelius. Also many collaborations with people working in other art forms as: dancers, choreographers, poets, directors, actors, video- and film makers, photographers, architechts, writers, painters, sculptors and performance artists. Smullotron live at the 9th Okno theatre festival, playing at Teatr Współczesny, Malarnia, organized by Teatr Kana, Szczecin, pl '05. This is the whole concert. The 9th Okno theatre festival, as presented by Teatr Kana themselves. We're in it a bit too, at 2.33-5.50. 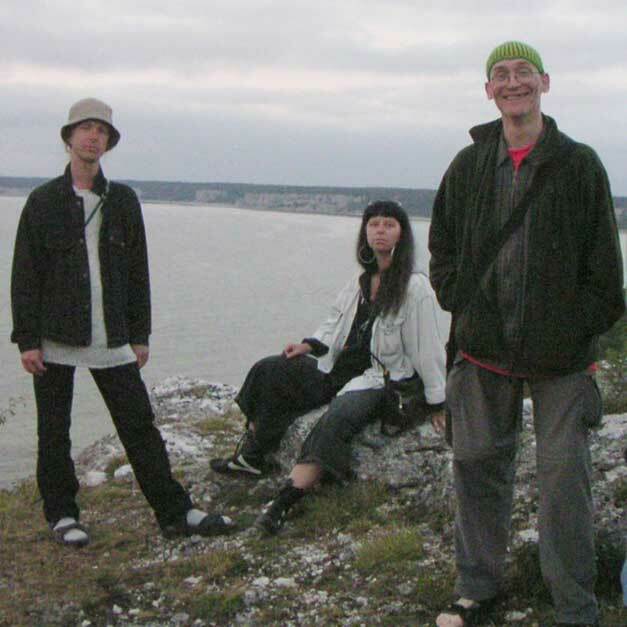 Smullotron at Hide, Gotland, 2004. Bergmark, Norelius, Runolf. Updated the 29th of May, 2016.